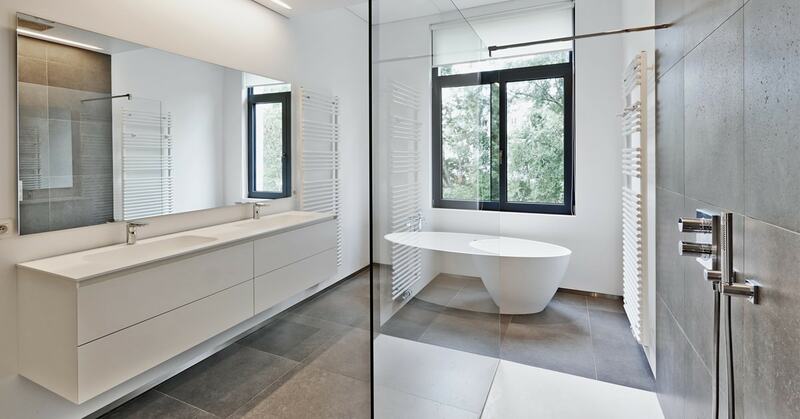 A new tub and shower will be popular with everyone, but bathroom renovation is also a great way to invest in your home. To ensure the success of your project? 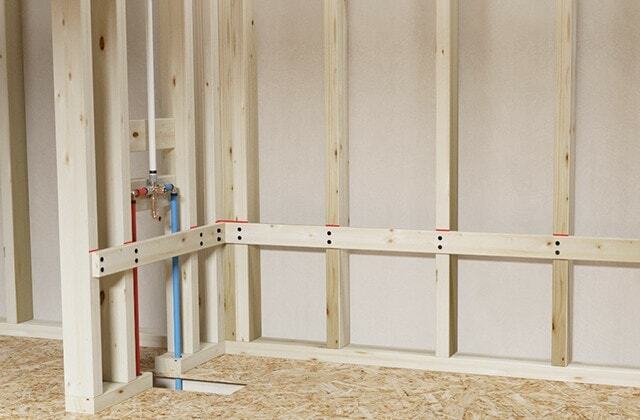 Know your plumbing basics! Especially drains, water lines and fans. 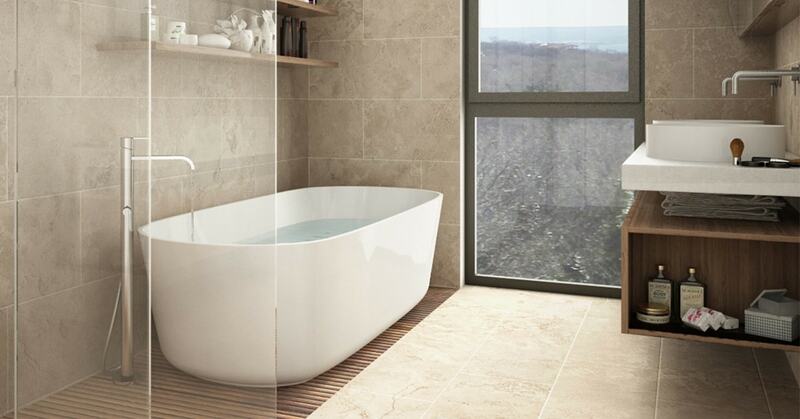 This project involves installing a steel, acrylic or vinyl bathtub and shower in a support frame. Installation will be a lot easier when the pipes are exposed. For this project, we are assuming that the water supply lines and floor drain are already installed. 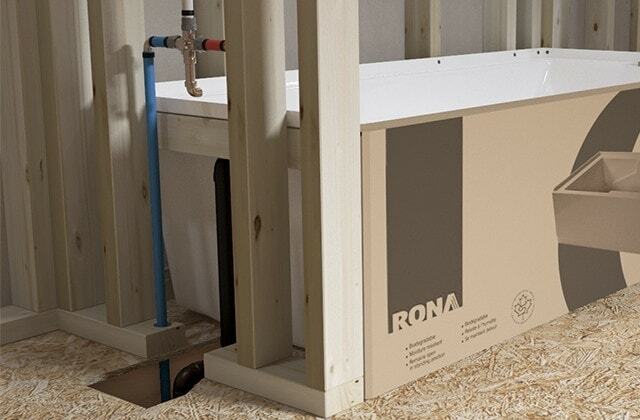 Block the floor drain opening with a rag to keep debris out. Always protect the bathtub to prevent any damage during handling. 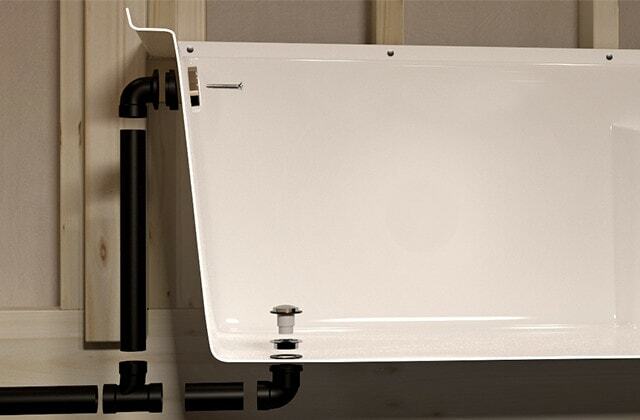 Choose a bathtub and waste pipe that is positioned for easy connection to the existing plumbing. 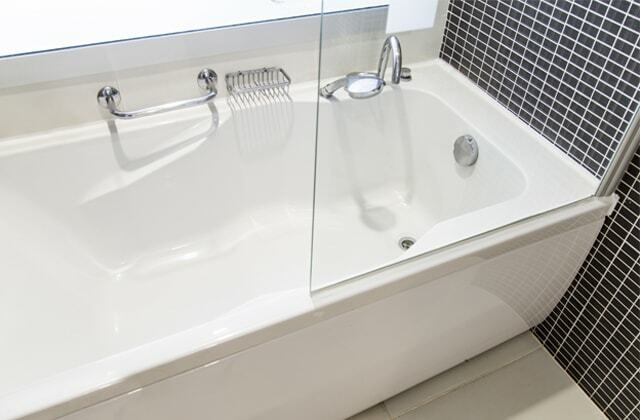 Measure carefully: the waste pipes from the tub must fit into the floor drain. 1.1 - Turn off the water supply to the entire house. 1.2 - Ensure the walls, corners and floor are square and level. 1.3 - Measure the depth and width of the alcove. 1.4 - Measure the tub to be sure it will fit. 1.5 - Put two runners on the floor to help slide in the bathtub. 1.6 - Position the tub in the alcove. Set the level on top of the tub and check. 1.7 - Use shims to level. 1.8 - Use a pencil to mark the top of the nailing flange on all the studs around the tub. Ensure the tub is level and adjust if necessary. 1.9 - Remove the tub. 1.10 - Nail 1" x 4" wood strapping on the three walls just under the pencil marks. 2.1 - Put the bathtub on its side. 2.2 - Apply plumber's putty under the collar of the drain flange. 2.3 - Place the drain flange over the bathtub drain hole. 2.4 - Position the flat washer between the underside of the tub and the drain elbow (shoe). 2.5 - Screw the drain flange to the tub shoe. Do not over tighten or you may damage the tub. 2.6 - Remove excess putty. 2.7 - Place the seal gasket on the overflow elbow and place behind the bathtub. 2.8 - Install the overflow plate in the bathtub and use long screws to screw into the overflow assembly. 2.9 - Connect the overflow and drain flange assembly with a T-fitting and pipes. 3.1 - Reposition the bathtub on its base and slide it in to the alcove. Be careful not to disrupt the overflow assembly. 3.2 - Align the waste pipes and overflow pipes with the pipes on the floor and assemble. 3.3 - Ensure the bathtub is level and that the nailing flange is aligned with the pencil marks. 3.4 - Drive roofing nails into the strapping just above the flange, so that the nail heads overlay the flange. 3.5 - Nail into the studs on either side of the bathtub. 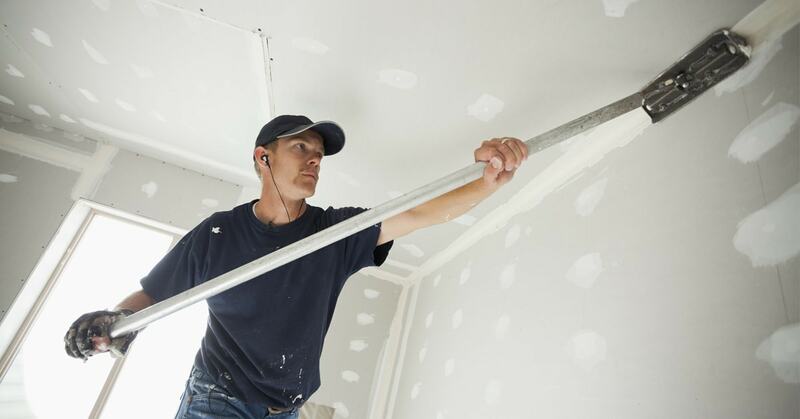 4.1 - Install mold-resistant drywall around the tub. 4.3 - Install the faucets. 4.4 - Turn the water back on and flush the toilet a few times to clean out any accumulated dirt that may have settled in the pipes during installation. 4.5 - Apply silicone sealant around the tub where the ceramic tile meets the tub.